The Middle East endured an increasingly violent 20th Century. The first decade of the 21st Century does not bode well for a significant change to the pattern. In the western part of the region Israel is still embroiled in the occupied territories while at the same time enmeshed in a struggle with Hezbollah to the north. Lebanon continues to spin into deeper and deeper political disfunctionality –aided by the flight of its most productive citizens, the meddling of Syria and the influence of Hezbollah. Syria continues to provoke instability east and west into Iraq and Lebanon, while pursuing a long term strategy whose end is the destruction of Israel, through a variety of means (mostly proxy allies such as Hamas and Hezbollah), and including among its ways nuclear weapons. Speaking of nuclear weapons. This has become the obvious strategic goal of Iran. It does not appear that the international community and the United States have any realistic way of stopping (maybe slowing down but not stopping) them from achieving that goal. What will be the impact of a nuclear armed Iran? The obvious target is Israel, but are the Arab nations of the Persian Gulf potential targets (of at least nuclear blackmail) as well? A nuclear armed Iran is almost as much of a strategic challenge to Iraq and Saudi Arabia as they are to Israel. In Iraq a new democratic government is attempting to establish itself? But what really are its chances of survival given the historic track record of parliamentary style government in the region? The question is how much direct U.S. intervention is necessary and for how long to over-come the challenges of ethic competition, religious animosity, corruption, and terrorism. With traditional uncertainty and animosity still dominating much of the regional politics, the major power that seems to continue to remain generally aloft from the vagaries of region is Saudi Arabia. Saudi Arabia, because of its apparent stability, could be the solid foundation for political progress forward. However, some argue that Saudi Arabia’s stability is imagined. This argument maintains that SA’s religious conservatism make it the most vulnerable to extremist ideologies such as Al Qaida. The question will be, can Saudi Arabia remain an island of stability in the region as it has been for almost a century? The other major leader in the Arab world, Egypt, also appears to be a reliable ally of the U.S., at peace with Israel, and able to contribute to political progress in the region. However, the Muslim Brotherhood, staunch supporters of Hamas in Gaza, is a strong social and political force in Egypt. So, as one looks out into future decades, Egypt too has the challenges of carefully balancing its domestic political, religious, and social policies in favor of stable government. Any domestic political mistakes or miscalculations can result in turmoil which would quickly effect the entire volatile regional political balance. In the arena of balancing domestic politics, a challenge for all countries in the region, one of the most carefully balanced is the Kingdom of Jordan. King Abdullah must continue to balance monarchy, Islam, modernity, the peace treaty he has with Israel, and the influence of various outside factors on his domestic politics. The last, and possibly the most important, player in the region is Israel. Arguably, Israel has never been more challenged and less predictable than it is right now. Israel perceives significant military threats from Hamas, Hezbollah, and Syria. It also has publically identified a nuclear armed Iran as the major threat to the survival of Israel. The traditional alliance between the U.S. and Israel may be at its weakest point in recent history and the current Israeli government, led by the Lekud party, may be one of the most aggressive in recent history. Israel, for at least the last 75 years, has been the pivotal nation in the region around which all other political issues revolve. Does it still play that role or are Arab or Persian players more important? How important is the role of the Al Qaida in the region? Are they, or other non-nation state organizations more important than the existing traditional governments? During the Iran – Iraq war, Iran suffered over one million killed in action combatants and the war cost the country over 500 billion dollars. 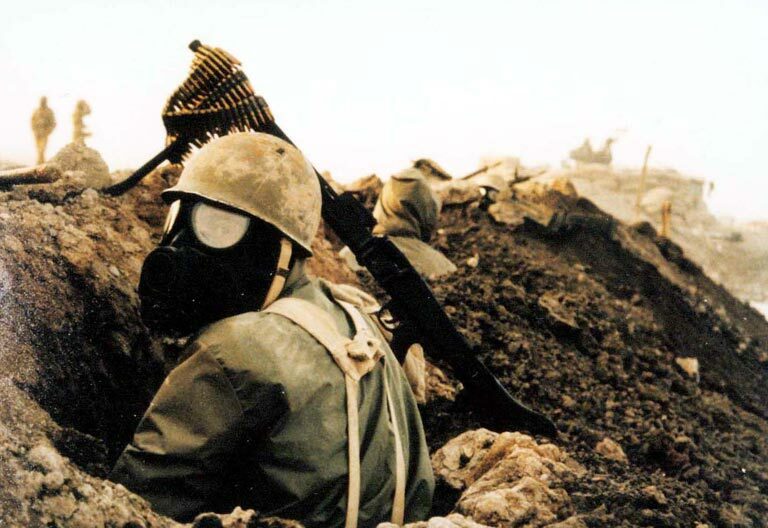 Iranians continue to suffer from the effects of Iraqi chemical weapons. In comparison, Iraq suffered over 200,000 killed in action and had approximately the same war costs. Both country’s economies were in ruin, oil production down, and deeply in debt. As an example, Iraq owed Kuwait over 14 billion dollars. Because of the war, Iraq invaded Kuwait in 1991, was defeated during the U.S. led operation Desert Storm, and ultimately the Iraqi regime was toppled in 2003. After the war, the Islamist government in Iran was strengthened and Iran remained isolated within the international community. Ayatollah Khomeini, the Supreme Leader of Iran died on June 3, 1989 –less than a year after the war ended in August 1988. The international boundaries between Iraq and Iran in 1988, at the end of the war, were exactly the same as they were at the begining of the war. So the question then is: who won? 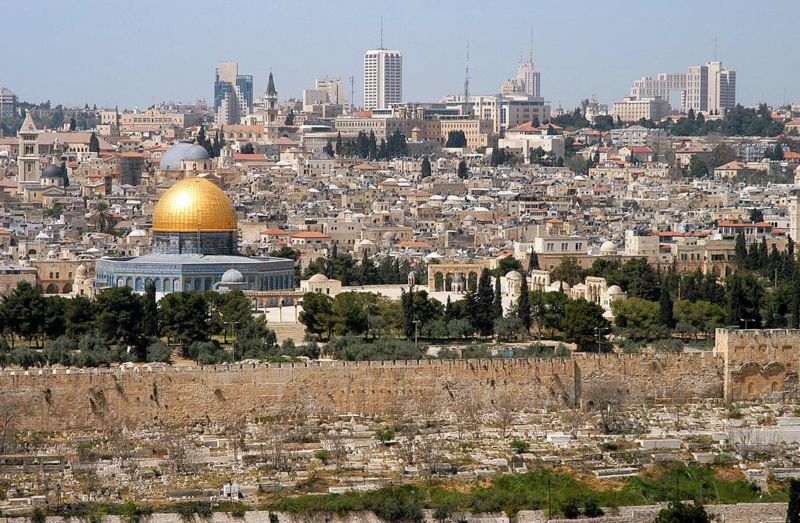 Jerusalem… Capital of the Jewish State? The city of Jerusalem has a long and fascinating history. It is the religious nexus of the three great mono-theist faiths: Islam, Judaism, and Christianity. It is also the center of modern revolutionary conflict between the Zionist movement and the Palestinian people. It is further, the focus of nation state discussion, negotiation and war. The original UN plan for the creation of Israel called for Jerusalem to be an international city belong to no single nation state. 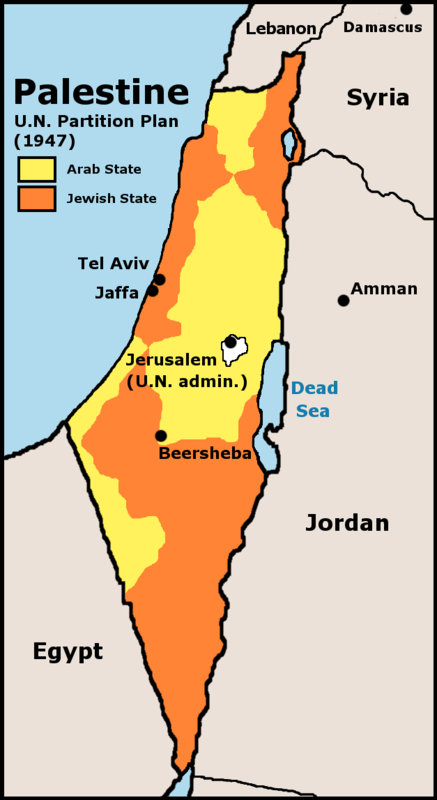 Jordan controlled east Jerusalem, and Israel west Jerusalem, from 1948 to 1967. After the 1967 war Israel annexed the city and currently occupies it as the capital of Israel. In any future Middle East Peace settlement, the status of Jerusalem will be central. Should it be divided again into east and west (Arab and Israeli) sectors, or should it be internationalized? Possibly, over forty years after the 1967 war, it is impossible to go back to these previous solutions and it should remain in Israeli hands. 1948: A History of the First Arab-Israeli War. By Benny Morris. Making Israel. Edited by Benny Morris. Interesting and very informative New York Times book review of new books on the 48 War. The review itself is a mini-historiography and well worth the read for any or all who are interested. A Solution to a Complex Problem? The partition plan for Palestine in 1947 (to be executed in 1948) was very complex and involved extensive surveys, population census, land distribution analysis, and negotiation between dozens of parties. (Click here for a detailed an relatively unbiased description of the process) The rejection of the plan by the Arab states neighboring Palestine resulted in Civil War, and then the 1948 war between the Arab states and declared state of Israel. Was the plan completely inoperatable from the begining? If it was… was a one state solution viable given the lack of a powerful Palestinian political identity, the violence in the region since 1938, and the lack of international commitment to a peace-keeping force? Was there any one factor, that being changed, that could have saved the plan and prevented the 1948 Palestine War? If the current Peace Process, at its heart being the two-state solution, is an attempt to implement the 1947 plan with an update to the changed demographics –does this validate the wisdom of the 1947 plan? King Abdul Aziz Al Saud was recognized as a great natural leader, embodying the physical courage and leadership of a great warrior, the sensitivity and instincts of a diplomat, and the devotion and humility of a religous man. Much of the credit for the success of Saudi Arabia can be attributed to his leadership abilities. Another reaon for King Abdul Aziz’s success uniting the Arab tribes was the relative geographic isolation of the Saudi center of power, Riyadh, from the area of interest to the Europeans –especially the British (before oil was discovered). Thus, King Abdul Aziz was able to build up his military and political capacity without the interference of an outside, non-Muslim, power. His power base was truly indigenous. Which of these reasons was most important? 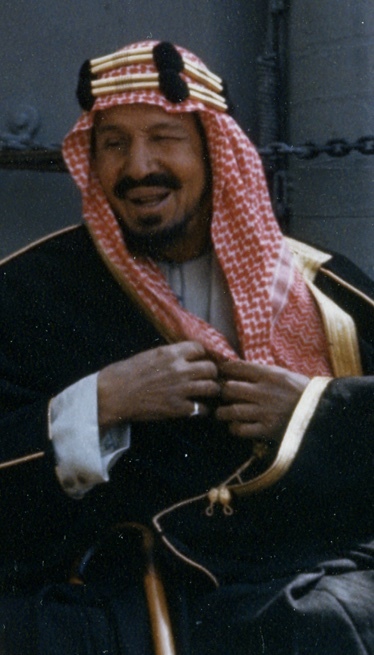 What other factors allowed King Abdul Aziz Al Saud to build the Saud Dynasty into the most powerful, and most politically stable in the Middle East? At the end of World War I British Middle East policy was in the akward position of the “chickens coming home to roost,” in that they had promised everything to almost everybody in order to gain maximum support of the allied effort in World War I, and for Britian in the post-war world. 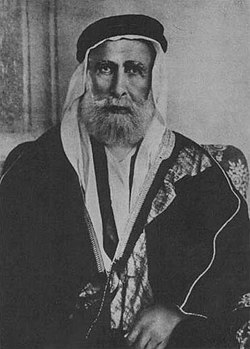 Three important agreements that the British made were first, the Hussein–McMahon coorespondance with the Arab leadership; second, the Sykes-Picot agreement with France; and third, the promises to the Zionist movement contained in Balfour declaration. All three greatly effected the post-war Middle East for years to come. Did the British understand what they were doing? Why didn’t the British forsee the long-term effects of the conflicts they were creating? Which of the agreements continues to have the most important direct effect on the state of the Middle East? Understanding Islam: An Introduction to the Muslim World, by Thomas W. Lippon is a 1995 beginner’s guide to Islam and the Middle. Lippman was the Washington Post Bureau Chief in the Middle East and he uses information gained through living and traveling through Islamic countries, as well as the words of the Holy Koran and other Islamic works. The religion of Islam is a message sent by GOD to the Prophet Mohamed may peace be upon him (MPUH), and understanding Islam is not difficult but the majority in the West judge Islam through the acts of some Muslims who do not necessarily represent the Faith.. The author provides information about the rules of Islam and how some governments use Islam to show the right path for policy. This book contributes to an understanding of Islam. I recommend this book to students that are interested in learning the basic information about Islam and interested in a book that talks fairly about other religions and cultures. The author of Inside Islam, Anne-Marie Delcamber, is a French citizen who holds doctorates in law and in Islamic Civilization. She is professor of Arabic at Lycee Louis-le-Grand, Paris. She has written many books that relate to Islam and the prophet Mohammed (peace upon him). Since the events of 9/11, several books on Islam have appeared in bookstores. Two major trends characterize these books. On one hand are authors who seek with their work to facilitate genuine and critical discussions about Islam and its civilization devoid of religious and cultural polemics. The goal of these authors is to encourage dialogue between the Muslim world and the West. On the other hand are works of authors notorious for their polemics, rather than substance. These authors have found, in the tragic incident of 9/11, an opportunity to spread deep-seated hatred, prejudice, and ignorance about Islam and Muslims. In the latter genre falls “Inside Islam” by Anne-Marie Delcambre. As far as Delcambre is concerned, there is only one interpretation of Islam, fundamentalist Islam, which is about internalizing and practicing the prohibitions of juridical Islam. “Inside Islam” is not a work of scholarship, but a collection of personal views, mostly bordering on bigotry, racism and ignorance disguised as academic research. It is a work of ‘selective justice.’ I don’t recommend the book for students who want to learn about Islam in particular and Middle East issues in general. As the above video demonstrates, the history of the Middle East is long and complex. The Middle East was the center of the Ancient and the Mediveal world. The question of modern policy makers is to what extent, if any, should the ancient and medieval history of the region influence twenty-first century policy and strategy. Should the region seek inter-state harmony that is consistent with the history; or, should states in the region break with the past and establish regional relations based on the future.